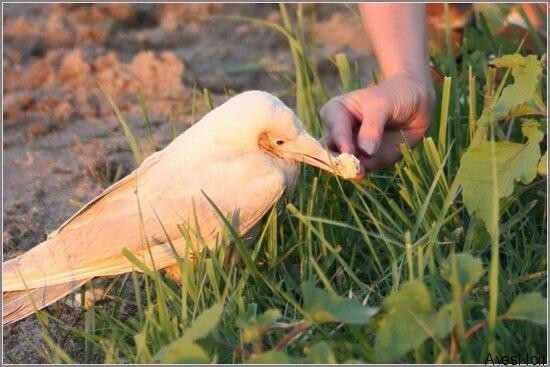 We’ve written before about leucism in crows and ravens, which can cause lighter or abnormal coloring. 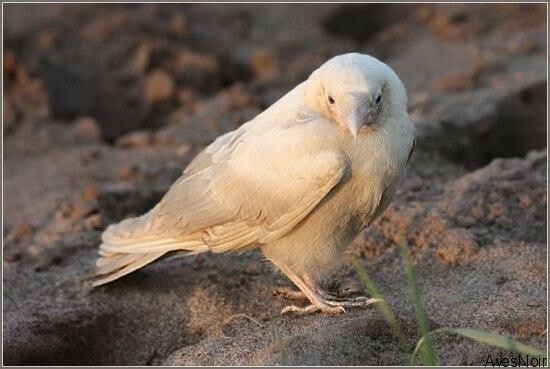 This little crow, however, is an albino; the difference being that leucism is a loss of pigment, whereas albinism is a lack of it. What do you think, he said,Â is the most beautiful bird? I do not know, I say, probably the swan? No, the old man shook his head. Then the peacock, I said. No, of course not. 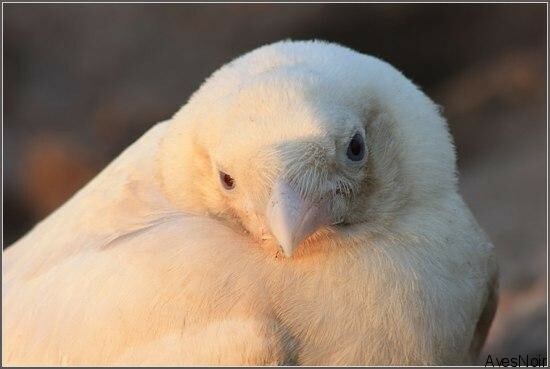 And then he says: The most beautiful bird on earth is a white crow. I then looked at my father, as he was silent, listening to the old man. 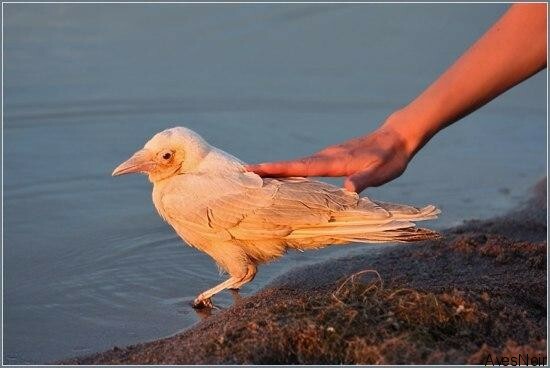 Why a white crow? I asked. Because, answered the old man, she is exceptional. You can see a flock of swans, seven peacocks, a herd of ostriches, but nobody has ever seen a whole flock of black sheep. This can not be. The old man thrust out his beard and looked at us defiantly. But we did not object.